Costa Rica is a Democratic Republic, as defined by the 1949 Constitution, which guarantees all citizens and foreigners equality before the law, the right to own property, the right of petition and assembly, freedom of speech, and the right to habeas corpus. As in the United States, the government is divided into Executive, Legislative, and Judicial Branches, with "separation of powers" consecrated under Article 9 of the Constitution. In 1969 an amendment ruled that neither the incumbent president nor any former president may be re-elected, although there has been talk of changing that amendment. And the rainfall almost always follows a predictable schedule. The temperature in San Jose and in the mountains is usually between 70-80 degrees and the temperature at the beach is usually 80-90 degrees. 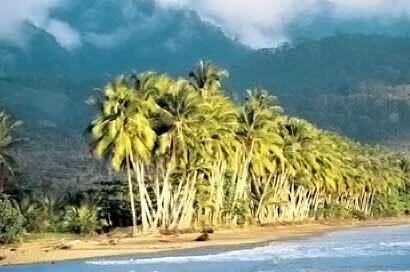 Costa Rica is located in Central America, between Nicaragua (to the North) and Panama (to the South). Costa Rica has a Pacific Coast and a Caribbean Coast; it takes about 6 hours to drive from the Caribbean Coast to the Pacific Coast.